That little phrase...That's what won a trip to Iceland and gave me the opportunity to experience something I've wanted to do from the moment I step foot in that country the first time. That little phrase became an inside joke with new friends. That little phrase became a goal to accomplish by the end of this trip. It all started when my former roommate and good friend, Daryl, came home one evening raving about some contest he signed up for. It was a sweepstakes – you know the routine. You give all your information to some company to enter a sweepstakes that you never see a winner for. This one seemed different though. Daryl was amped up about a brand called Bearded Goat. He had met them during the GoPro Games a few months before and entered their sweepstakes. Apparently he had written a very heartfelt entry that landed him as a top 10 finalist. After getting the news of being a finalist, Daryl wanted to make a video to showcase why he should win, and I immediately thought what would be more Iceland than recreating that scene from Walter Mitty. Cinema and film has always been inspiring to me, and we wanted to put our own spin on that iconic scene. The only problem? Daryl isn't much of a skateboarder. In fact, I don’t think he ever set foot on one before. It was going to take some movie magic and a little playful sarcasm to make the scene come to life. The finished result ended with Daryl getting a Facetime call a couple days later to let him know that we’d be heading to Iceland in less than two weeks. On our way to Iceland, Daryl and I hit New York City for a day and a half to explore. 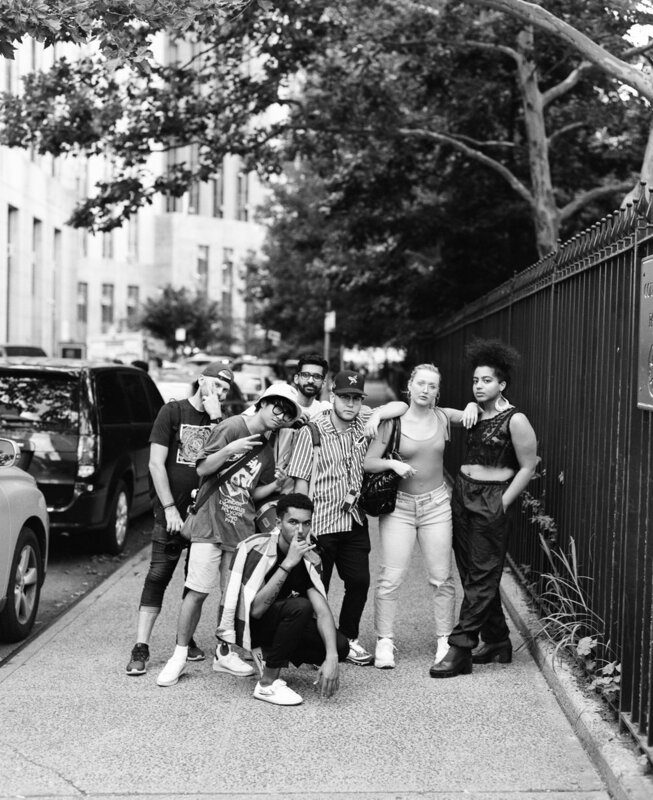 In between hitting the hip SoHo bars and having as much Shake Shack as we could, we met up with a few local photographers to wander around the city and snap a few photos. It’s fun and interesting to see how people interpret a moment, a landscape, or the light differently, and I find that learning from other people and watching their creative process can sometimes be much more valuable than shooting a bunch of photos myself. It's kind of like being a tourist, but with a much different form of sight seeing. After a few sticky days running around New York City, we caught the overnight flight to Reykjavik. There’s always something magical about flying into Iceland. The last time I was on a plane to Iceland, I was welcomed by the Northern Lights. 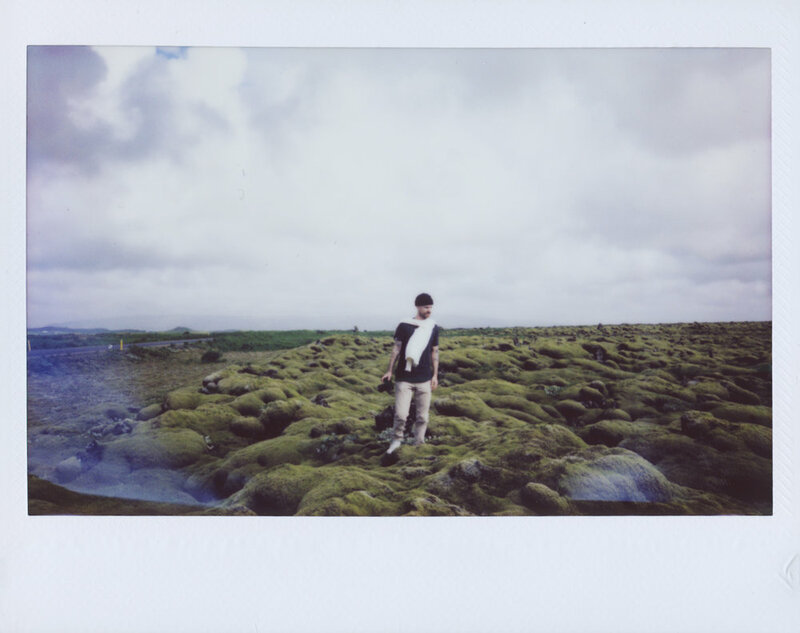 This time, vast fields of black lava spilled out below to welcome us, peppered with hints of green moss. After a quick bite to eat in the airport, it was time to get exploring. As I often find, the best part about this trip was the people. We were about to spend a week in a camper van with with the Bearded Goat crew, who I hadn’t had met before let alone had any communication with. From the moment they pulled up in a pair of camper vans, smiles glowing on their faces, we knew were in for a hell of a week. They were just as stoked to be there as we were. We immediately headed for the southern coast to check out a few waterfalls and eventually find a place to set up camp for the night. 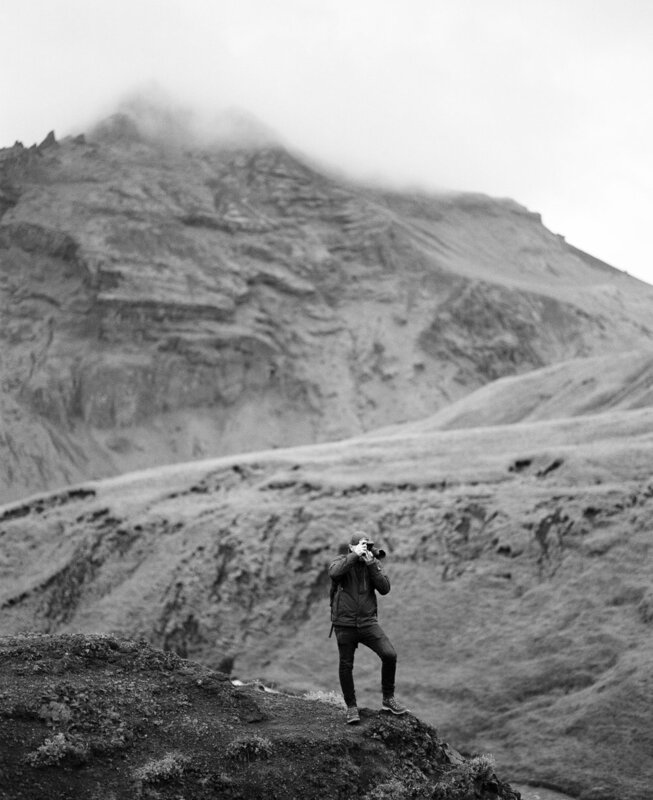 Bearded Goat went to Iceland to shoot lifestyle photography for their 2018 Fall/Winter lookbook and to shoot some brand videos, and we got to go along for the ride and observe. We would drive for a couple hours, get to a destination, hike around and explore, shoot for a bit, and then get back in the vans and keep going. Being that it was summer in Iceland, it only got about as dark as dusk. That meant we were able to squeeze a lot in and that we caught a nap wherever we could during the drive. The whole crew had such a go-out-and-get-it attitude. Nothing bonds people like a true adventure, complete with very little sleep. By the end of the trip, we were one big happy family. The next day took us to the Jökulsárlón glacier lagoon, an absolutely wild sight. The mixture of fresh and seawater is what gives the lagoon it’s unique shade of color, an intense aquamarine blue. As the glaciers break up, chunks of crystal clear ice litter the beach, giving it the incredibly appropriate name Diamond Beach. Everywhere you look in Iceland there’s something amazing to see. The landscapes are vast and varied and always beautiful. This was my first time seeing Iceland in the summertime, and it was a completely different experience from my time there in the winter. Everywhere you looked were bright green mountains and rolling waterfalls gushed down hillsides everywhere you looked. In terms of outdoor adventure and natural scenery, it’s unmatchable. There’s a reason so many people go to visit Iceland. 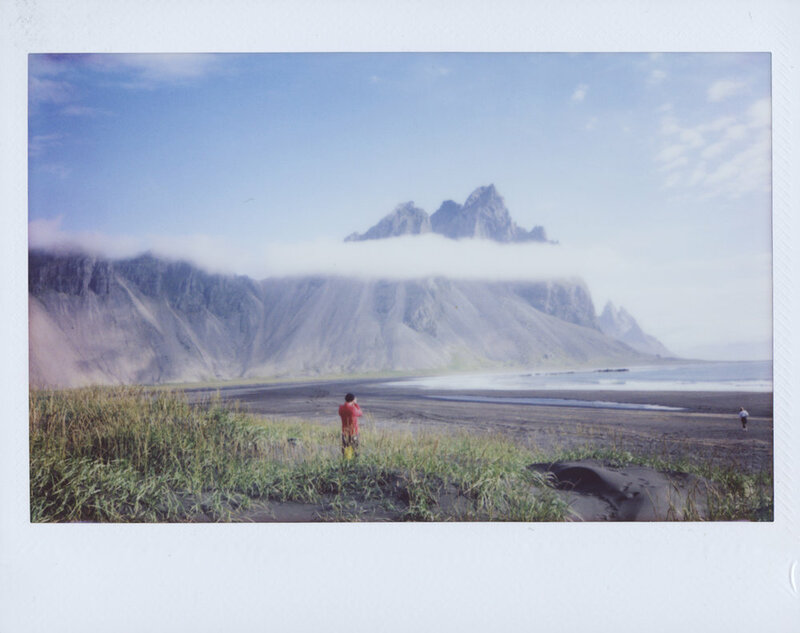 After Jökulsárlón, we headed to the east coast and set up camp on at Stokknes, a black sand beach. We kicked a soccer ball around on the beach, and enjoyed the sunrise while a little cloud hung around the Vestrahorn Mountains, keeping us company. I brought my drone along on the trip, so I was able to capture some amazing footage of the natural landscape surrounding us. Check it out in this video below. One of the best parts of the trip was the mountain biking excursion. We went on a bike ride, through the hills near Reykjavik, and while the old sheep pastures we rode through looked idyllic, the ride was anything but. None of us had really mountain biked before, and we had a couple of guides that let it rip from time to time. We all worked hard to keep up with them, with a few minor spills as a result. It was incredibly fun to try something new in such a beautiful place. Our last day ended up being an adventure within an adventure. After the Bearded Goat crew left, Daryl and I had a day to ourselves and took one of the camper vans to check out Kirkjufell, one of the most famous mountains in Iceland – you might have seen it in Game of Thrones. Throughout the trip, the vans had been a little finicky and had stalled out at one point. 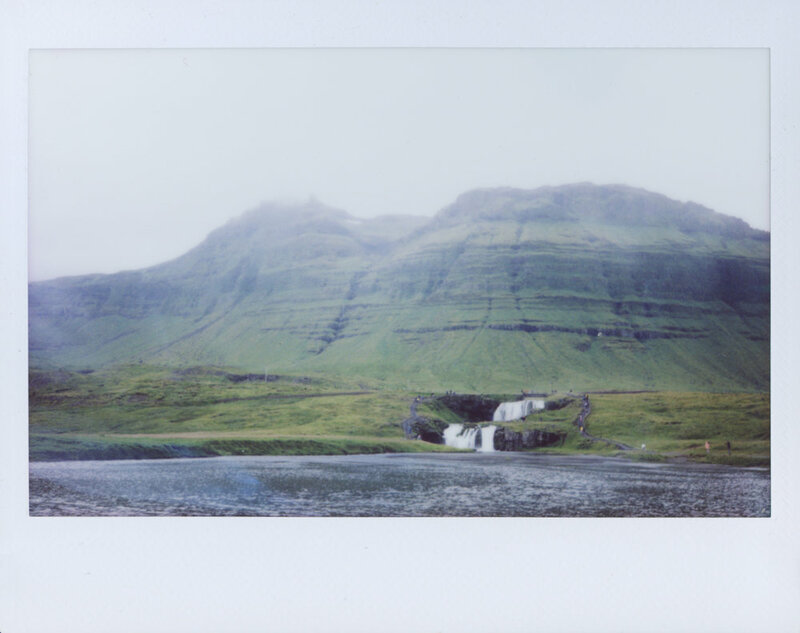 We were hoping to make it out to Kirkjufell and then back the 3 ½ hours to the airport without any incidents. After checking out the mountain and taking some pictures, we head back to the van about 5 hours before our flight to find it wouldn’t start. We got a jump from a local who looked like a direct descendant of a viking, picked up a couple hitchhikers from the Ukraine, and made our way to the airport with 45 minutes to spare. It’s all about the journey and not the destination right? As action-packed as our adventure to Iceland was, we barely even scratched the surface. If anything, this trip make me want to keep going back. There are so many places there that are often largely untouched and unexplored. Oh, and I can’t forget about the Garðskagaviti lighthouse, which we visited on one of the last nights of the trip. It felt like something out of a Wes Anderson film, rising out of the water with blocky red stripes. Though it looks like it’s around dusk when the photo was taken, it was really around 12:30 am. With it being that light out in the middle of the night, we weren’t ready to go to bed yet, and were instead skateboarding and messing around on the roads nearby. In those last moments, we finally got Daryl on a skateboard and got him to ride it down the hill, the perfect way to bookend the trip.